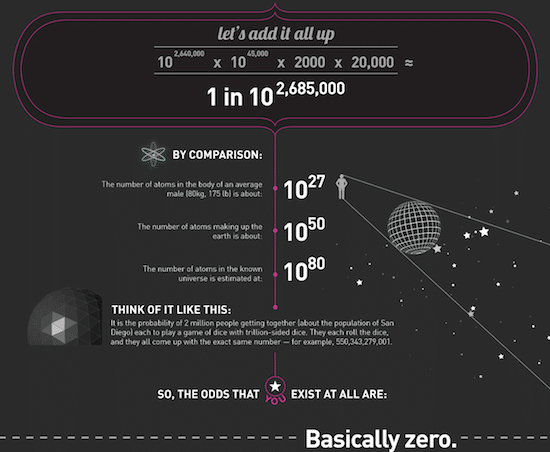 The image above shows a small section of an infographic examining the remarkable odds that each of us exists. It’s a fascinating look at the statistics – and comparisons to the odds of other things happening. The full story in the Other section below.